Christmas party—it’s one of the most awaited events in most companies throughout the year. We all love it. We don’t only do it because it’s tradition and something that we’ve been doing every year. For us Filipinos, we’d like to think that Christmas parties hold much deeper meanings. It’s what unites people; it’s when love and giving is in the air. For most of the corporate companies here in our country, Christmas parties are an opportunity to reward their employees for their hard work and good service for the company. Every year, most companies think of ways how to make their Christmas parties different and grander than the previous one. They make sure to think of different activities to entertain the guests because apart from appreciation, Christmas parties are also a time to have fun. A part of rewarding your employees is giving them that chance. They won’t only feel that they’re appreciated, but they’ll feel that the company is genuinely thinking of them too. Knowing the guests that you’re making the party for is important because you’ll know the subject of the choices and decisions that you’re going to make. Knowing the employees and their preferences already sets you in the right direction to making an event that’s for them. Entertainment and activities is a major part of the Christmas party. If you really want the employees to have fun, it’s important to recognize what culture and behaviour is prevalent among the employees in your company, including a few demographics. This will help you know what kind of activities to put in the program—what they like, what they’re comfortable with, what they’ll enjoy, what will get them to participate in, and etc. 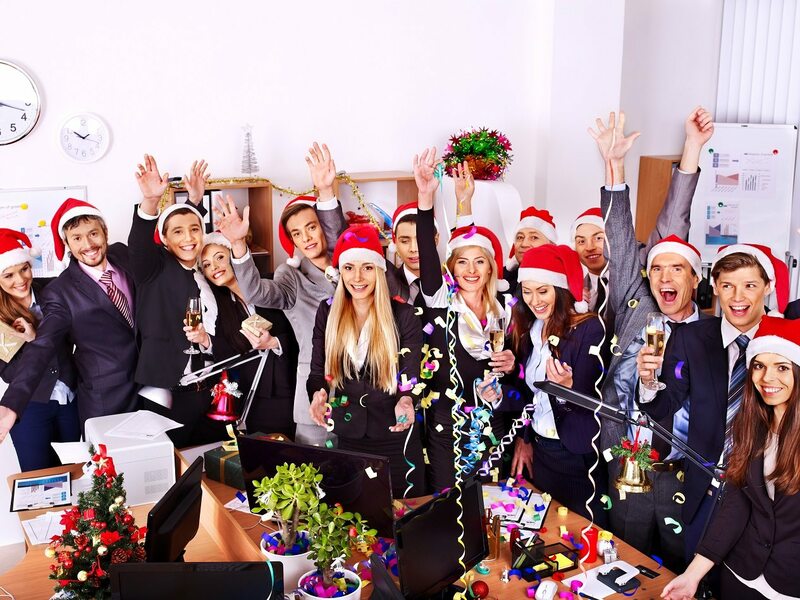 If ever you find yourself lost in answering the following questions that will get you to know the employees for the Christmas party, then you may ask their supervisors or pick one or two persons from each department. Do the company and its employees share the same religious beliefs? Are the some who doesn’t share that belief? If so, what can you come up with that is acceptable to both parties? Are they updated with the latest events and trends? Or are they a traditional type of person? Will they be able to relate with the theme that you have in mind? In what age bracket do most of the employees belong to? Will they be comfortable with the theme you have in mind? Will they be able to catch up with the games and activities? What type of personalities do most of the employees have? Are most of them introverts, Extroverts? Or somewhere in the middle? Will they be comfortable interacting with each other? The theme of your Christmas party is the direction of the entire program. It will dictate the decoration, the music, the atmosphere, the attire of the guests, and the activities. Working with a single theme in mind, it’d be a lot easier what activities to include because it limits your options. 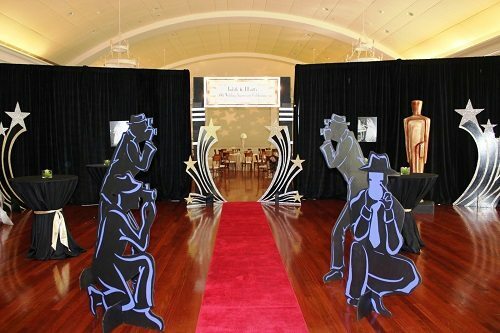 Red carpet walk – An Oscars-themed event won’t be complete without a red carpet walk. Since the employees has probably taken the time and effort to dress and clean up, this is a good time to give them the reward for their effort and let them flaunt their beautiful faces and exquisite attires for the evening. Wall of fame – Of course, the party won’t be as memorable without memories of the night. Set up a proper photo booth and give it an ample space so that the employees and their group of friends could get their pictures taken conveniently. You might also want to have an official photographer for the event and have them photograph in full body. Performances – One idea for a group performance is to have each department imitate a movie scene whether it’s musical, comedy, romantic, etc. This kind of activity will help the employees develop teamwork with each other and creativity amongst themselves. Awarding – Besides from including a few categories for the performances, include a few interesting ones like Best Red Carpet Dress (both men and women category), Best Performance (individual category), etc. Trivia – Let the employees work their mind for a bit by asking them some pieces of trivia about the company or something that’s related to Hollywood or films. Have a simple prize prepared with the one who has the correct answer. Again, remember that in order to entertain the employees, make your activities fitting to the theme. Otherwise, it might cause discomfort and confusion for some. One way to make your guests entertained and have a good time is to know them. Activities that will fit with them and their preferences—culture, behaviour, choices, and likes—is definitely something that they’d want to participate in. Thinking of these little things is a part of rewarding and appreciating the employees. For a Christmas party, reward and appreciate them by giving them something that they’re going to be entertained by and have a good time with.